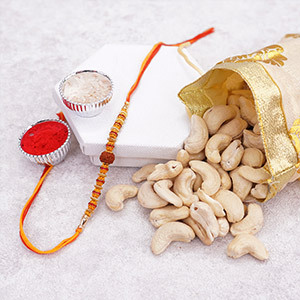 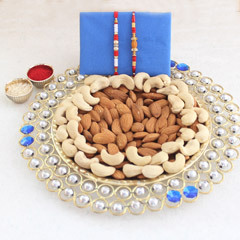 Greet and surprise your four dear brothers on Raksha Bandhan with this exclusive combo of four attractively crafted Rakhis and dry fruits. 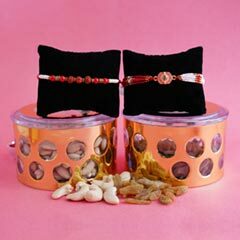 And, will for sure make brothers feel the essence of the relationship that they have shared with their sisters. 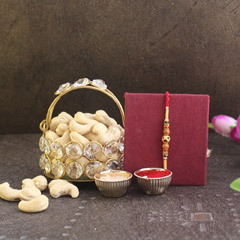 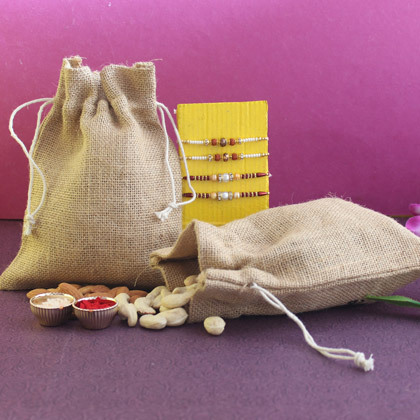 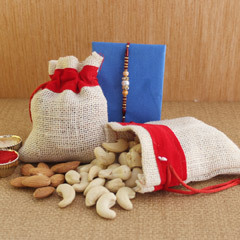 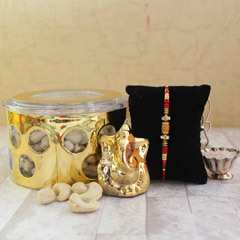 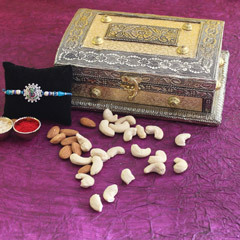 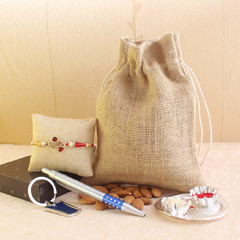 Choose this plentiful combo of Rakhi gift for your brother to make him feel special.